The Department of Theater and Dance announced dates for 2018 Dance Auditions for admission consideration for the 2018-19 academic year. All incoming freshman students are invited to audition on January 28 (Closed) and February 4; all transfer students auditions are February 10; and all video auditions are welcome by February 23, 2018. 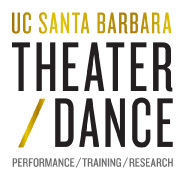 Detailed information about the dance audition process can be found here. Please keep in mind that every student needs to register in order to audition (even video auditions). Incoming Freshman auditioning on February 4, 2018 REGISTER HERE. Transfer students auditioning on February 10, 2018 REGISTER HERE.